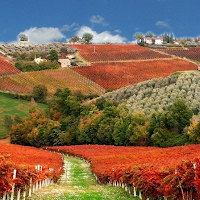 The Montefalco DOC, both for Bianco (white) and Rosso (red), was created in 1979. So I was a fetus when this DOC was born. Nice. 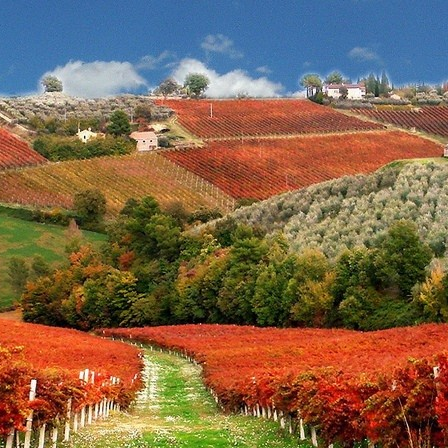 The Rosso has to have a minimum from 60% to 70% Sangiovese, at least 10% to 15% Sagrantino, and pretty much whatever you want for the remaining 30% or less. It also needs to be aged for eighteen months. However, as you'll see, that doesn't appear to mean just oak aging but includes bottle aging. 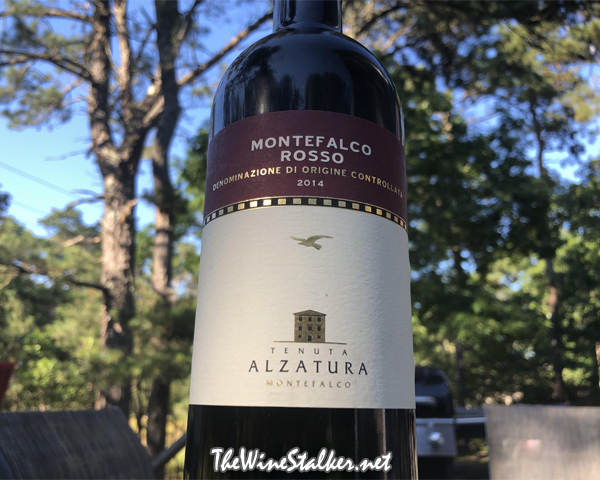 Tenuta Alzatura Montefalco Rosso DOC 2014 is 70% Sangiovese, 15% Sagrantino, and 15% Merlot. Fermentation was done using "traditional" temperature control (I'm not sure what "traditional" means, like if it's not in stainless steel or whatever) on its skin at 61°F for fifteen days, then it saw fourteen months in barriques (not the minimum for aging) and another four months of bottle aging (putting it right at the eighteen month minimum for aging). Now here's the thing: I was told to serve these slightly chilled. Not leave-it-in-the-fridge-overnight cold. SLIGHTLY! CHILLED! So that's what I'm doing. See? I can be a good boy that follows instructions... when I want to be. The color of the wine is ruby red with a see-through clarity. On the nose there's aromas of cherries, spearmint, orange peel, and beach sand. On the palate it's light to medium bodied and has an exciting acidity that works with the slight chill to elevate the fruit. The best part is that it manages to have both a beautifully silky mouthfeel with also grippy, structured tannin. There's flavors of bright cherries, raspberries, citrus, and herbs. Then it finishes that amazing acidity, grippy tannin, and a strong citrus flavor. I can see why this performs better with a slight chill. The fruit is alive and popping, the bit of refreshingness (is that a word?) is great with that silky mouthfeel, and its overall profile makes it a great summer red for grilled meats and vegetables. I'm really enjoying this bottle. It's pretty awesome and I'm gonna give it a big rating!